Brands of Gold Bars - Which Company Makes the Best Gold Bars? 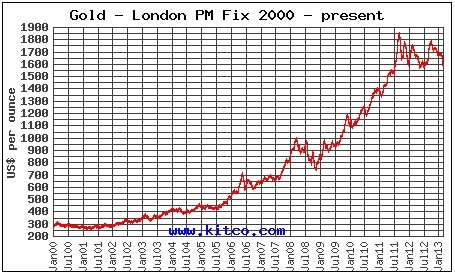 Buying gold in bar form is a smart move by any investor. While you may be well aware of the varying sizes of gold bars, you may not be so sure of the different producers of these pieces. The reality is that brand name matters just as much in the precious metals industry as it does in the clothing or footwear industries. From the outside looking in, if you have seen one gold bar you have seen them all, but nothing could be further from the truth. PAMP Suisse is a company that was founded in 1977 in the Swiss town of Ticino. Right away it was into the gold business and while it does refine the metal, it is also in the business of fabricating gold. In addition to gold, PAMP has more recently tested ventures in both silver and platinum products as well. Some products you will find being produced by PAMP Suisse are 1, 2.5, 5, and 10 gram gold bars as well as 1, 5, 10, and 32.15 ounces (1 Kilo). PAMP Suisse usually has their products accompanied with assay which certifies that your gold bar is actually a PAMP gold bar. The Royal Canadian Mint, more commonly referred to as RCM, first came into existence, its main purpose was to produce Canadian coins. The kicker, however, is that in the early days RCM was owned by the UK. After a while it was then relinquished to Canadian ownership, but its purpose remained the same. After the company became privatized and Canadian-owned, it began to get into a variety of other industries, one of which was the production of gold bars. RCM is more of a silver company that produces gold bars than a gold bar producing company. For this reason, the variety of bars offered by RCM is much smaller than other companies. Perhaps the most popular bar from the Royal Mint of Canada is the 1 ounce variety. These bars are minted in massive quantities and can be found on just about any reputable online dealer of precious metals. The Perth Mint is an Australian-based company that has been manufacturing gold for well over 100 years. Much like RCM, the Perth Mint was once an English-owned operation until it gained its independence in 1970, when it was given to the government of Australia. Even though the mint is owned by the government, it operates much more like a privately owned business than anything else. This fact has definitely helped Perth solidify its position as one of the most trusted producers of gold bullion on the planet. Perth Mint is known for offering beautifully crafted gold bars and are not only a great investment tool, but attractive to look at as well. To some investors, their one downside is the fact that they are more geared towards offering gram sized bars as opposed to the larger, ounce sized, ones. Perth Mint gold bars come in sizes such as 1, 2.5, 5, and 10 grams as well as 1 ounce. Many have and still do wish that Perth would offer some of the larger bars, but that has yet to be seen. OPM Gold Bars – Ohio Precious Metals is a domestic producer of 1 oz and 1 kilo gold bars. As you can clearly see, there are multiple things that differentiate one gold bar producing company from the next, whether it be products offered, years in business, or anything else. The companies highlighted above account for just a small cross-section of the amount of companies that offer gold bars today. There are so many other companies from all over the world that offer a wide variety of bars. By searching the internet high and low you can make use of its abundance of reputable gold bar dealers to find and make the perfect investment. It would also do you well to read about some of the other companies in the business before proceeding with purchases as well.